The Midlands State University Incubation Hub set the ball rolling on Wednesday 17 October 2018 by launching its two inaugural products. The products launched were roofing and tiling materials from innovators called Noble Savages and a green revolution innovation of Seed Balls from Evergreen Solutions. Speaking during the launch, the guest of honour, Professor D. Z. Moyo, the Acting Pro Vice-Chancellor, Research and Academic Affairs said, ‘the primary mandate of the Hub is to promote research, technology and innovation based on entrepreneurship through incubation and networking. It is our expectation that new start-up companies will setup and thereby accelerate technology transfer to industry and the nation’. The inaugural product launch is a great stride towards achieving the vision of the Ministry of Higher and Tertiary Education, Science and Technology Development, championed by the Minister, Professor Amon Murwira, which seeks to build a national culture of performance for the growth of the economy through modernization and industrialization. 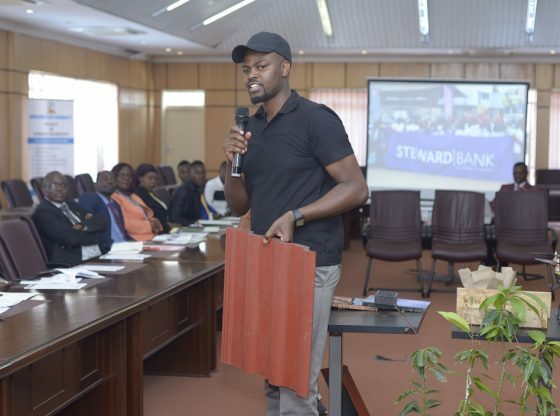 The launch was attended by various corporate players among them Nyaradzo, the Forestry Commission, Environmental Management Authority and Steward Bank who are collaborating with the MSU Incubation Hub. Also in attendance was the Director of the MSU Incubation Hub, Dr Patience Siwadi together with various faculty deans and members of the University community.